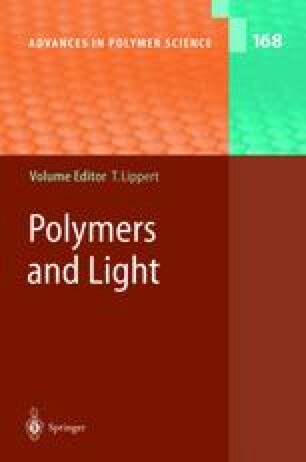 In this article, we review studies on the direct photoetching of polymers with synchrotron radiation (SR) in vacuum. The SR etching of poly(tetrafluoroethylene) (also called Teflon) has been applied as a microfabrication process to create high aspect ratio microstructures and to deposit high-quality thin films. This process appears rather similar to x-ray proximity lithography in view of exposure optics and similar to laser ablation in view of photoprocessing; thus, both x-ray lithography and laser ablation will often be mentioned for comparison throughout the review. In order for readers to be familiar with x-ray processing, x-ray lithography will first be introduced before synchrotron radiation is discussed as the light source compared to lasers. Microfabrication, like microstructuring and thin film deposition by using SR etching, will be reviewed and compared with results of deep x-ray lithography and laser ablation deposition. Then the dissociation mechanism involved will be discussed for two photoprocessing procedures, namely SR etching and laser ablation. Finally, as an application example for microfabrication, x-ray refractive single lenses made of Teflon using the SR etching technique will be presented. This article is dedicated to a late colleague, T. Takayama, who introduced the ingenius idea of injecting high-energy electrons into the world’s smallest SR ring, realizing a storage ring without straight sections and without magnetic quadrupoles.